You can't go wrong with checks. 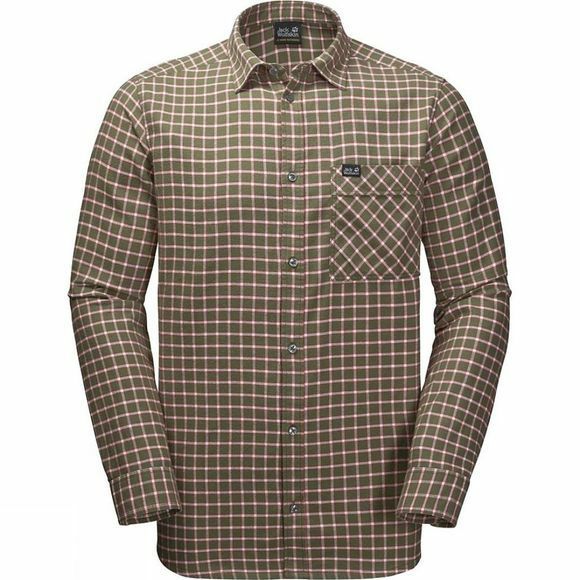 The Mens Fraser Island Shirt from Jack Wolfskin checked shirt is cut from natural organic cotton flannel. Wear it in winter to cosy up by the fire or loose over a t-shirt in spring–it's up to you. The all-natural fabric is super comfortable and feels pleasant on the skin. Important little items can be stashed in the chest pocket.